Check the Schedule and Calendar (under Information in the new menu) to see this year's tournaments. Also check the Rules page, some changes and clarifications. Watch for an email coming soon! The Rule 20-6 Golf Pool will begin its 10th season on January 24 at the Farmers Insurance San Diego Open. The 2013 website is up and ready with a few changes, though the look is pretty much the same. The schedule this year is similar to last year, but the Masters is a week later than usual and that fouls up the "every other week" scheduling. As mentioned we start at San Diego, skip a week, then Pebble, a week off, then we hit the "Spring Blitz". We'll play the WGC-Match Play, the Honda Classic in Palm Beach Gardens, then the WGC-Cadillac Championship at Doral, all three weeks in a row. A week off then we'll pool it up at Arnie's place. We'll get two weeks off before the Masters this year. After Augusta, skip a week and play New Orleans, which we haven't done for a few years. One week off then we'll finish the Spring Season at my favorite tournament (for you new guys, that's sarcasm), The Players Championship. The chance of a unique pick winning there, with first place being somewhere around $2 billion, should keep everyone in the Spring Season race. There's an extra week off between the Spring and Summer seasons, then the Summer will be the same as the last couple of years with an extra week off before the British and no week off between Firestone and the PGA. We'll finish with the first 3 Fed-Ex Cup tournaments, as we've done since the inception of the "Playoffs". See the Schedule and the Calendar on the website for more details. The biggest change this year is probably the money we'll be playing for. 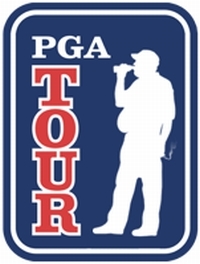 The entry fees have been the same since we started in 2004, $5 per player, per tournament, double for the majors (though the first year we didn't double the majors). I decided to raise the non-major tournaments and the "Tiger May Care" pool to $6 per player per tournament. This upped the total entry fee $16 and so to make it come out to an even $20, and to reward overall good picking and golf pooling, I raised each Season Total pool $1/player and the Year-Long $2/player. So this year, to play in everything it will be $170 (vs. $150 the past several years). The purses for the 14 regular tournaments will be higher, probably $50-$25-$15 if everyone comes back. I think this will better reward the successful pooler. Once we get a set number of players I'll post the purses on the Rules of Play page. Hopefully the extra $20 won't chase anyone off. Think of it this way: if we followed the Consumer Price Index and raised the fees every year following that cost-of-living indicator, the entry fee would be about $185. $170 is a bargain! The next biggest change you'll notice is on the website. I redid the menu at the top of each page from the big bulky block of links to a thin drop-down menu. This will allow more of a page's information to show on your screen without scrolling. Almost every page on the site can be accessed from this menu. The links are broken into six categories (plus the outside links that open in a new tab or window have their own 7th category). I think once you get used to this you'll find it easier to navigate around the site. Notice all the Player Pages are in their own category. This means you can get to your personal page with one easy click. Unless you're not logged in, then two clicks. If you forgot your password, no worries. Click on your Player Page link and you'll see just below the password input area a "Forgot your password? Click here" button. Follow that and the system will email you your current password. Remember you can change your password at any time by going to your Player Page and clicking the "Change Password" link, just below the "View Current Balance" link. Gotta have that current password first, though. Another change, small but hopefully helpful, is on each Player Page there are now two buttons to get to the submit picks form. The left one will pull up the submit form with all the golfer lines blank. The right one will populate each golfer line with the last team you submitted. This will make it easier if you want to change just one or two golfers. I somewhat rewrote the Rules of Play, though nothing is really different. I covered a few scenarios that could happen and broke down the money in a little bit clearer way. I would recommend reading them over. It doesn't read like Hemingway or Steinbeck, or even one of my emails, but it probably would be good to know the rules. Most of you probably won't read them, but I'm recommending you do anyway. There are probably a few other small changes I can't think of at the moment. Please, at any time you see something that doesn't look right or doesn't work correctly on the site, drop me an email/phone call/text... let me know. If anyone knows someone who would like to join us this year, let them know about the pleasure that is golf pooling with the Rule 20-6'ers. Have them contact me at least a couple days before the first event so I can set them up in the entry system. Also if they have any questions have them contact me. If anyone is not going to play this year, let me know and I'll take you off this mailing list and out of the system. I am so freakin' ready to get it on!